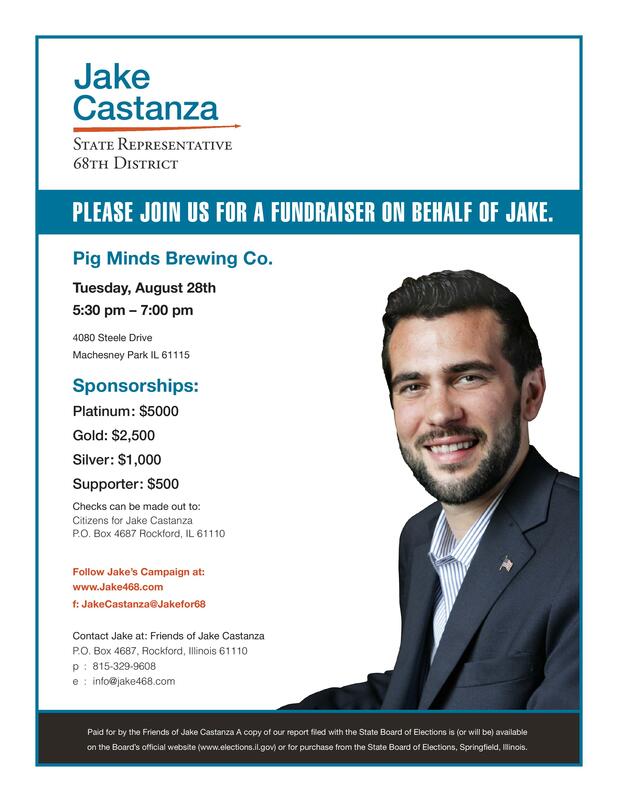 Come see Jake Castanza at Pig Minds Brewing Co. on Tuesday, August 28th from 5:30pm-7pm! Paid for by Friends of Jake Castanza. A copy of our report filed with the State Board of Elections is (or will be) available on the Board's official website (www.elections.il.gov) or for purchase from the State Board of Elections, Springfield, Illinois.